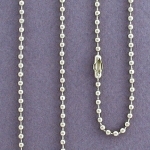 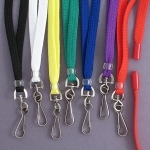 Shop for neck ID lanyards and metal badge chains available with a variety of colors and features. 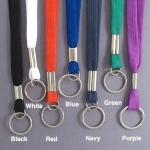 Find safety cord lanyards, non-breakaway lanyards with a choice of attachments (key ring, badge clip, card clamp end, snap hook), beaded ball chain lanyards in steel, or cell phone leashes for neck or wrist. 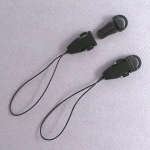 Bulk prices, no minimum, fast ship.